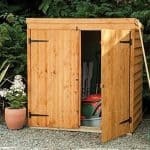 The Forest 5×3 Sheds Mower Store may have mower store in the name, but this is a fantastic and low priced storage shed. Ideal for gardens that are.. 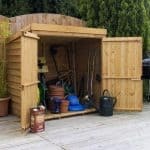 If you’re looking for a place to store your lawnmower or other large gardening equipment, this overlap garden mower store could be a great choice. 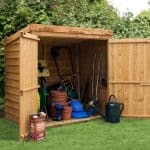 It is specifically..
Make sure that your lawn mower, tools or other items are well protected from the bad weather and no longer cluttering up the house or garden, with the..